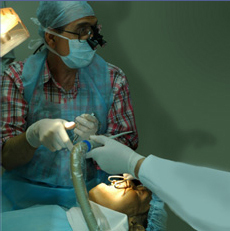 Dental Implants Mumbai,Mini Dental Implants,Affordable Dental Implants,Cheap Dental Implants,Dental Implant Surgery. Impacted teeth that are embedded in the tissue of the jawbone are termed impacted. When there is insufficient room for the wisdom tooth to erupt certain problems may be encountered. These problems include infections, damage to adjacent teeth and development of cysts. Our oral and maxillofacial surgeon extracts these impacted teeth in minimal or no postoperative discomfort.